Why you should go: It’s your friendly neighborhood cannabis shop, they offer a consistent selection of high quality house cultivated strains, you want to both purchase cannabis and give back to the community at the same time. I’m looking directly into the eyes of the person sitting across from me. It could be a little awkward, but we came here together. Over my shoulder there’s a video game. Some magazines on a coffee table. It smells like high quality cannabis. I feel like I’ve been in this room before, but no one is consuming. They’re not allowed to. This is Denver Relief, and though the waiting room feels like your favorite friend’s awesome basement, it is in fact a highly regulated and socially responsible cannabis dispensary. I’ve been checked in and am sitting comfortably when a door opens and my name is called. At Denver Relief the customer is personally escorted back to the product counter, which cuts down on the confusion and helps add to the feeling that you are in a safe place and being helped by someone who knows you personally. The actual sales area has small wooden barriers and clean black countertops for each station and stools if you need to sit. 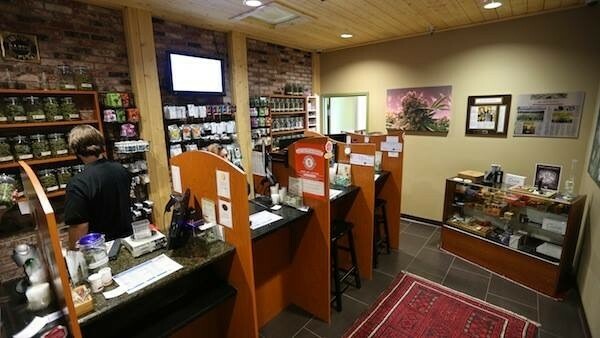 It feels both homey and professional, like a cross between a DMV window and a pie counter at a country store, allowing the customer the opportunity to converse with their budtender and feel some sense of privacy. The booths provide another unique touch to the experience. No one is looking over your shoulder and no one is crowding around a display case. It’s just you and your budtender, who wants to answer whatever question you want to ask. There is a real sense that they care about you at Denver Relief, like they want to get to know you and want to come back, but it’s not simply a friendly neighborhood vibe that sets them apart. It is, of course, the cannabis they cultivate. Featured prominently on their homepage are Denver Relief’s current signature strains: Dopium, Bio-Diesel, Outer Space, Jesus OG, Gumbo, and Ultimate 91 Chemdawg. These are all grown in-house, by “expert growers” who “use proprietary growing methods and technology that result in a consistent product each and every time.” Consistency in cannabis is one the major issue to resolve as we move out of the basement, and Denver Relief has maintained its commitment to the “small batch” approach that many feel is the only true way to provide such reliability. This method affords the shopper a variety of benefits. Because they maintain six signature strains, a (possibly nervous) first-time user can go directly to the Denver Relief website and gain an understanding of what to expect in terms of availability before they arrive, and because it’s cannabis Denver Relief grew themselves, you can be sure it is what they say it is. When you’re home and trying to sort through all the information disseminated by the supremely educated staff, the website offers a resource for forgotten plant lineage or expected effects. A nice little reminder of what you’ve purchased if you’ve never been in a cannabis shop before, or if you’ve been in dozens, sometimes multiple shops in one day, and you need to double check your stain data. Denver Relief isn’t just concerned with getting you and me the best cannabis possible; they want to take care of everyone, and have dedicated themselves to creating social change in and around Denver. By founding The Green Team in 2010, owner Ean Seeb, along with co-owners Kayvan Khalatbari and Nick Hice have established a cannabis dispensary that regularly gives back to the community. In a time when even states that have legalized the adult use and sale of cannabis still see individual jurisdictions refusing to allow shops to open, Denver Relief is setting an example of the positive impact a cannabis dispensary can have on the community. Whether it’s collecting over 100 bags of trash after this year’s 420 rally or collaborating with Stand Up For Kids to provide pizza to Denver’s homeless youth on July 31, Denver Relief can’t stop trying to help and heal. (They’re looking for both volunteers and home-cooked meals on the 31st, so if you’re in Denver and can cook or hand out things you can contact them to pitch in.). Cannabis just keeps getting bigger. More state programs. More tax revenue. More small businesses growing into larger businesses and more big investors entering into the fray. It’s the inevitable growth of an industry that was disregarded at best and legally persecuted at worst for far too long. In this time of necessary expansion, though, it’s nice to see Denver Relief remain committed to providing its customers with a shopping experience that feels personal, and it’s inspirational to watch them extend that care beyond their friendly waiting room. 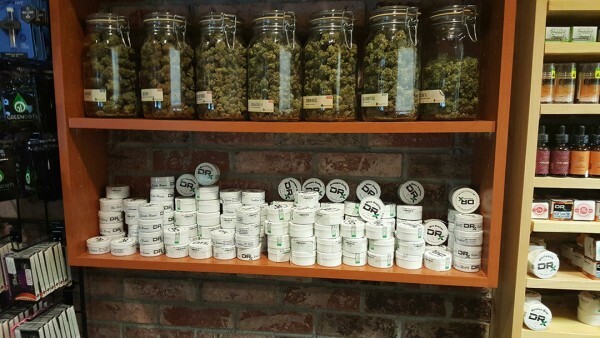 Posted in Colorado, Reviews, Shops and tagged adult use, cannabis, cannabis shop review, colorado, Community, denver, Denver Relief, dispensary, dispensary review, marijuana, medical, MMJ, recreational, review, shop review, weed.